WILLIAM J. BRITT is a principal of Brody Wilkinson and a member of the firm’s Trusts & Estates and Business Groups. Mr. Britt practices in the areas of estate planning, estate and trust administration, and business law. 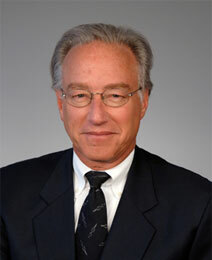 His estate practice includes all aspects of estate planning, estate settlement, trust administration and probate law. He assists clients in transmitting wealth and business interests to younger generations through sophisticated estate planning tools, including grantor retained annuity trusts, charitable lead trusts, family limited partnerships and asset protection trusts. He creates and implements special needs trusts and structured settlement trusts for personal injury victims. Mr. Britt has authored articles dealing with probate and tax considerations for estates where a wrongful death action exists and trustee powers of amendment. He is a Martindale-Hubbell AV-rated attorney. Mr. Britt’s business practice includes succession planning for owners of closely held businesses and serving as outside general counsel for such businesses. His business clients range from sole proprietorships and single member limited liability companies to multinational corporations. Mr. Britt serves as lead counsel on many corporate transactions, including acquisitions, mergers, and stock and asset sales. He is admitted to practice in Connecticut and is a member of the American and Connecticut Bar Associations. Mr. Britt is also a member of the Executive Committee of the Estates and Probate Section of the Connecticut Bar Association. He has been recognized as a “Connecticut Super Lawyer” in the areas of estate planning and probate; and business/corporate since 2011. Mr. Britt received his B.A. from Fairfield University in 1970 and his J.D. from the Columbus School of Law of the Catholic University of America in 1973, where he was a member of the Law Review. He served as a commissioned officer in the United States Army Reserve and achieved the rank of Captain. Mr. Britt is a member of the Alumni Board of Directors of Fairfield University and a member of Brooklawn Country Club. He resides in Easton, Connecticut.